The game is intense with enemies that seem to pop out at the most inopportune ti6mes, like when you coming up a flight of stairs and all of a sudden they come around the corner. Talk about saying it and then doing it. (OH CRAP!) The game has a few more bells and whistles that are fun and worth taking a look at from some character customizations, new levels and equipment, and some slight modifications to the interface. The in game interface is especially cool and looked lame to me at first but boy it made giving certain commands a breeze. Right out of the gate the game was able to tell I played the first Rainbow Six Vegas and awarded me experience points and some unlocked toys I could use to customize my character. 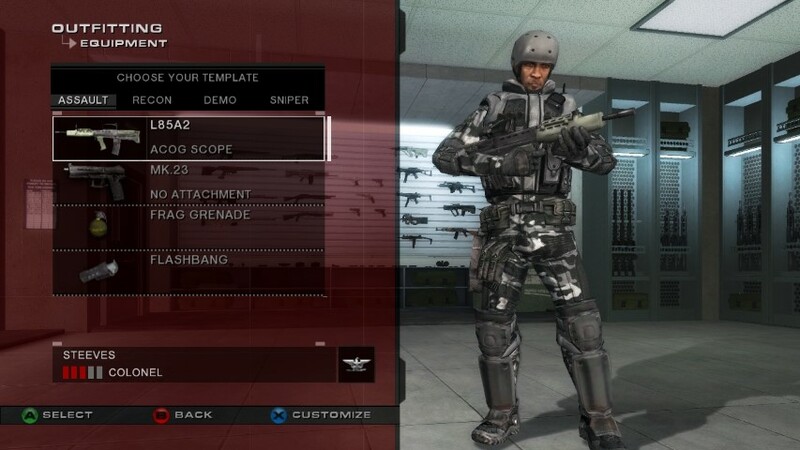 (More on customizations later) The ability to earn experience points towards new weapons and tactical clothing in single player mode or in Terrorist Hunt is just out and out stupendous. Earning points and ranks for your character in the game is a nice touch and gives a little incentive to do as well as you can. 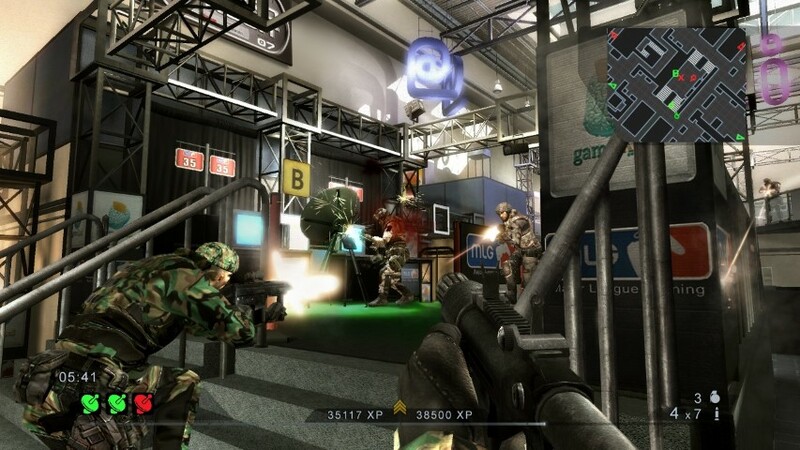 More Multiplayer – The highly acclaimed multiplayer mode in Tom Clancy’s Rainbow Six Vegas has been upgraded to include 13 new maps with more intense face-offs, two new adversarial modes, more rewards, and easier access to matches using the improved and intuitive matchmaking system. Unprecedented Customizable Experience – Create your own identity that persists through both the single player and multiplayer modes and progresses along with you. Reap the benefits of your single player rewards in multiplayer and vice versa. Vastly Improved Co-op Mode – Turn single player mode into co-op mode at any time, just by jumping into the game. Now you and a friend can jump into a single player game and assist without any change to the story. The single player maps and storyline were created with co-op in mind, meaning every map has multiple entry points and the story is unaffected. Challenging AI – The AI is more challenging than ever. Now, the terrorists are equipped with thermal vision, night vision, and shields – not to mention a multitude of varying tactics – all of which are guaranteed to give you a new playing experience every time you go into battle. As you progress within the game, you’ll be able to outsmart your enemies by taking advantage of intelligence opportunities, such as thermal scanning. 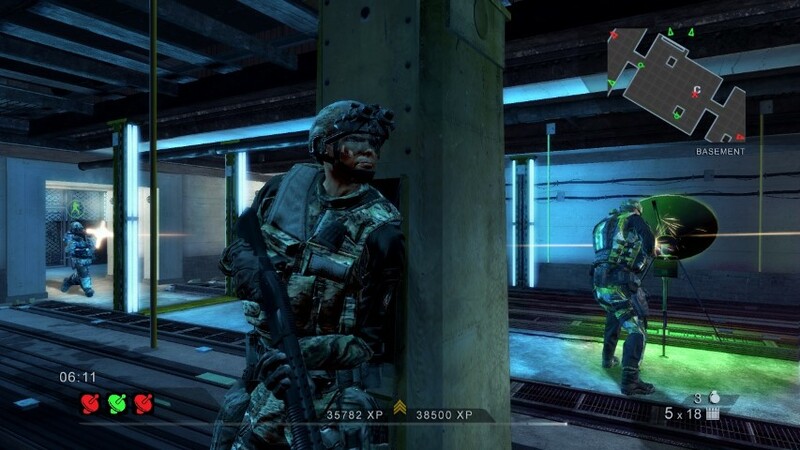 New Weapons and Armor – Take down the terrorists more effectively using 11 new weapons. New camouflage, clothing and gear allow for the ultimate customizations. More Vegas – Sin City is back and bigger than before. Explore all new Vegas hot spots and the gritty back streets creating a visual experience that is as challenging as it is breathtaking. Going through the first several levels I had the feeling that the game was more like an add-on, just with a full games price tag. While some of the areas may be familiar from the first one (Vegas 2 duh) there is enough difference and a slightly different approach to the story ark to make it just fresh enough to make it feel new and shiny. While the first Rainbow Six Vegas seemed a bit more intense when it came to the action, there are times where the moments are tenser I would say. Especially, when you’re watching the negotiator talk to the tangos and some one on your own squad gets trigger happy, and things get out of hand really fast. Won’t ruin it too much for you, but it is rather interesting. Let’s talk about the tangos in this one. While there are three different difficulty settings, even the casual setting this time around seems to offer just a bit more of a challenge this time around, which is actually a good thing. After all who wants to breeze on through a game without the least bit of a challenge? Advancing along through the single campaign players will find that the enemy AI seems much more aggressive that the first games enemies. They are darn well intent on taking you and your team out, if that means running and gunning right at you, then that’s what they do. Depending on how close you are to them when they pop from around a corner, this causes some out right nail bighting close quarters battles. On the flip side of the enemy AI is your squads AI. It may just be me, but they seem far worse than the first games. They get the job done, they just do it in a really stupid way, granted each member of the team has to maintain good muzzle control of a weapon, but to have someone walk in front of your full auto-fire and they happen to be your squad mate…I am sorry but that is just plain stupid and no matter how hectic it can get in a battle trained pros just would not do that. Worse they tend to tail you far too closely, so close that if you need to make a short retreat to evade incoming fire, your path is blocked and you just end up eating a lot of hot lead. Firing around corners without taking aim is back, and a rather odd mix, spraying and praying is one thing and you are lucky if a round or two hits even a un intentional enemy target. While the enemy on the other had seems to have some rather uncanny luck when it comes to their blind firing. Go figure, either way I have always liked this interesting option in a shooter game and for the most part it does not disappoint here. The voice command options just did not impress me, nor work for me. But using the Xbox 360 headset you are supposed to be able to voice command the team. Using the voice commands the manual suggests yielded mixed results and frustration so I just went back to using the buttons only. If they can get that smoothed out that would be a fun geek fest option. Moving on from the AI and mixed results of the voice commands of the game, one of the much appreciated things that has been added is a sprint option. This comes in handy when getting the heck out of the way from incoming fire or a tossed grenade. The tactical interface is another well thought out bit. This in game interface sits at the lower left of the HUD and gives fast control over the squad mates. At the bottom part of the Tactical Interface is the team state, this display shows the teams current actions, be it tossing a grenade or assaulting or what not. The Tactical Interface also shows the number of grenades and types your team members have left. Now that is very helpful and appreciated. This area also shows the rules of engagement you have currently ordered the team to follow. Then above that are icons showing orders are available to give to the squad mates, this all depends on the environment and what actions are taken place. The ROE (Rules Of Engagement) have their own sets of actions that the team takes depending on what orders are given. For instance if the ROE is assault the choices for say opening a door range from open and clear, breach and clear or open and frag. Using the directional pad makes these commands fast and simple. If the current ROE is infiltration and the team is stacked up at a door, then the command options are different. They are open and clear, open flash and clear, and also open, smoke and clear. Using the A, B, X and Y buttons also give different player interface options. Y is for switching weapons or checking the weapon inventory, X is for reloading and weapons options menu, including putting on sound suppressors. The B button is for using items and tossing grenades. , and A is for interacting with items, such as opening doors. Take a look through the manual instructions that come with the game, there is enough there to fill you in on all the button interfaces if you’re new, and just enough that if you have played the first rainbow Six Vegas, you will be at home and pick up the newer interfaces in a snap. Customizing you’re character, I am a sucker for stuff like that, and only if it is well done. With Rainbow Six Vegas 2, you get to customize a lot with the character, including playing as a female or male which is a darn good move. I know a couple of female real life soldiers and police officers that like when females are represented in these games. Of course the multi player aspects are back again, and even with a strong single player game, I do not think it would be very complete without the multi player. 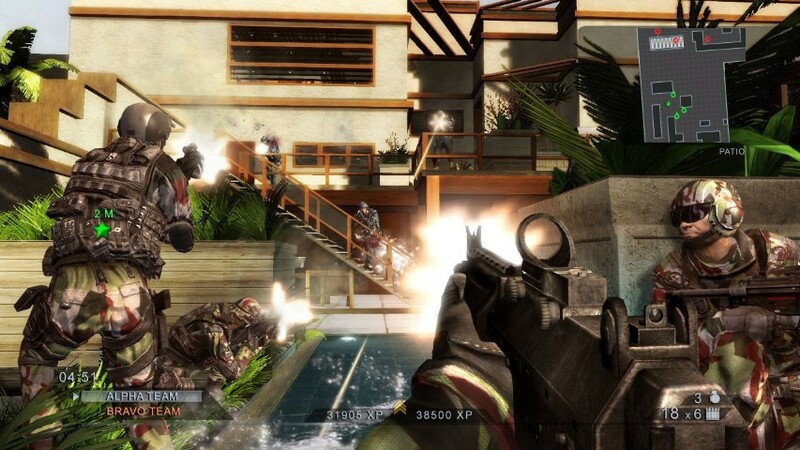 There are the same kinds of multi player gaming that you find in most shooter games, but then again the multiplayer is only as good as the fellow players you play with or against, regardless of how many cool multiplayer options there are. So, sorry folks I really won’t be going that much into the multiplayer aspects other than to say there are quick match options, custom matches, a matchmaking system and then creating a match where you are the host and control several different aspects of the match. The game maps are vast and give a lot of tactical advantages and disadvantageous, with plenty of cover in some areas and open areas that you would have to sprint across to get to cover. That my friends are what spoke grenades are for, concealment and advance to cover. The original Rainbow Six Vegas was and is one of the true gems of the gaming world, Rainbow Six Vegas Two does an excellent job at following up on the original and offers another classic for the franchise. 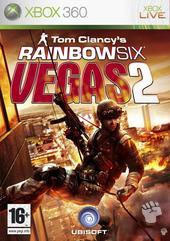 So whether you feel it’s too much like the first one or that it may feel like a high priced add on, there is no denying Rainbow Six Vegas 2 is the shooter to get your hands on.